It’s been years since we’ve had the chance to watch “The Dating Game.” This popular television program was quite exciting in the 60’s and 70’s. Many celebrities would surprise the contestants and audience by just showing up. The prize in the end was always a thrill for most people who had no idea who they’d end up on a date with. 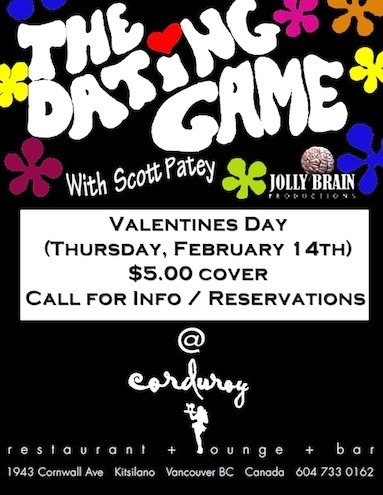 This valentine’s day will re-introduce a long-lost favourite of mine, when a cozy little bar in Kitsilano, Vancouver, BC called Corduroy presents “The Dating Game” hosted by Scott Patey & Jolly Brain Productions. This is sure to be a hit amongst all singles and couples looking for a night of comedy and entertainment. Singles get to mingle, and couples get an awesome date night that’s sure to tickle their funny bone. This cozy little pub style restaurant is always very popular, so you’ll want to pre-order your tickets or make your reservations as soon as you can. Click here to check out their menu by Chef Figg – Organically Homemade specialties that taste amazing. 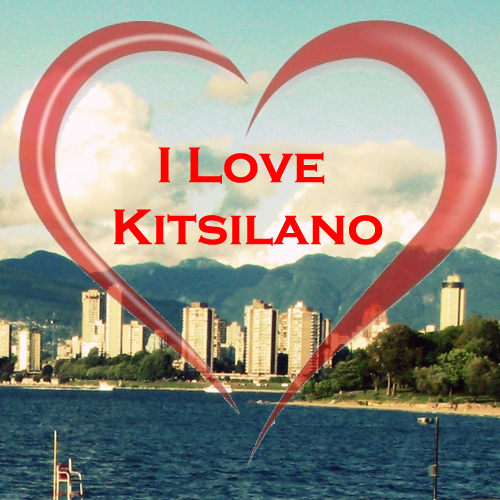 Also, this restaurant is participating in Richard Wolak‘s VanFoodster’s Poutine Challenge. Who knew poutine with Guinness Jus would be soooo yummy?? You never know until you try.